Oregon Archives - Red Truck Fly Fishing Co. While typically thought of as a “half pounder” fishery (these being hard fighting sexually immature steelhead that enter the lower river by the tens of thousands) our home river the Rogue is also a prolific producer of adult summer and winter steelhead as well as fall Chinook. For anglers keen to fish for winter steelhead we recommend March and April for the upper river and February and March for the Rogue’s prime tributary the Applegate. If you are after the ultimate tug of fresh Chinook salmon on the lower river think about August and September. For all of the above we can get you set up with the region’s best guides and help you select accommodations that meet your criteria and budget. No one knows our backyard like we do so be sure to call us when planning your next trip to Southern Oregon. Classic Steelhead flies are a must! A wonderfully infectious river: glossy green tailouts, lichen covered cliffs, towering Douglas firs and a super-race of summer steelhead that rise to skated dries. Many consider the North Umpqua the graduate school of steelhead streams. More like a temptress, really, with beauty and mystique apparent to all, yet secrets understood by only a dedicated few. 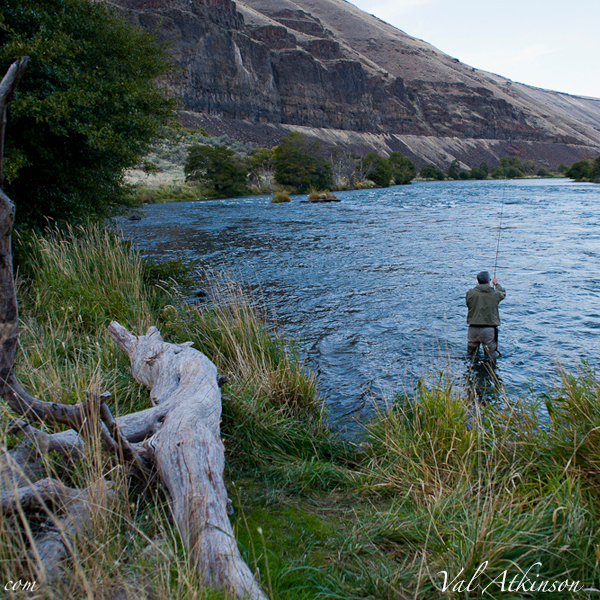 Appreciation for this river slips into your soul, and seduces you into becoming a better angler. 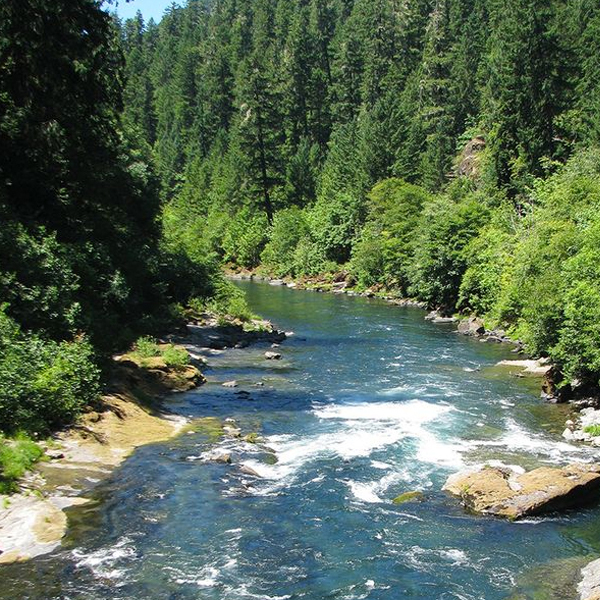 The North Umpqua’s 32 miles of “fly only” water are among the most radically regulated waters in the West and prohibit the use of weight throughout the prime summer months. 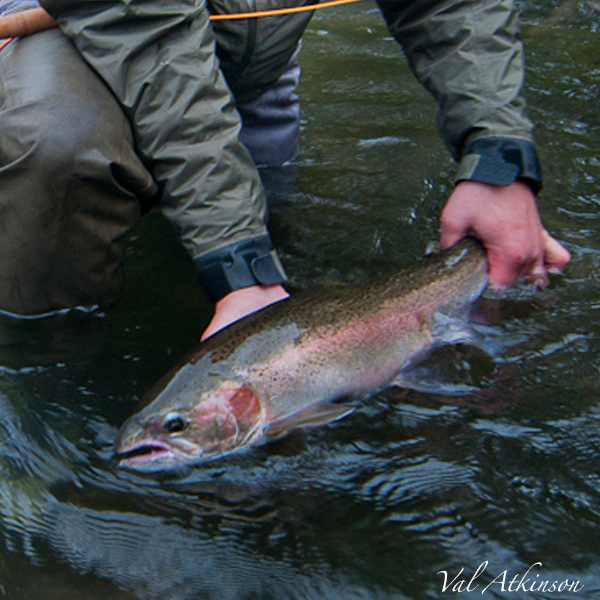 For those who seek the challenge and rewards of catching a steelhead on a dry fly, this is the ultimate playing field. We have enlisted the river’s finest guides including Tony Wratney, Scott Howell, Mike Peters and Rich Zellman. Their knowledge and dedication to the North Umpqua are unsurpassed and days spent with them are intense, physical, and more often than not rewarding. With accommodations at the historic and refined Steamboat Inn, this is a classic steelheading experience unlike any other. Due to the comfort and amenities provided by the Steamboat Inn, the many hiking trails, nearby wineries and proximity to Crater Lake National Park, this is also a great getaway for non-angling, nature-loving companions. Additional accommodation options are available including the Steamboat rental houses, Illahee Inn, and the Dogwood Motel. Please call for details. We work closely with several outfitters for this river. Please contact us and we’ll happily give you are recommendations. Warm socks, polar fleece pullovers or sweaters, warm hat, warm fishing gloves, sun-gloves, sun hat, wet wading gear with neoprene socks for mid summer, waterproof wading jacket, synthetic long underwear and fleece pants, quick dry clothing including shorts. Bring comfortable clothes for camp and rugged shoes, and sandals for mid summer.